The certamen team, as well as dozens of other students from Northside, packed into two busses and traveled to the Westin Hotel in Itasca, Illinois for the Illinois Junior Classical League convention. The event spanned three days, from Thursday, Feb. 22, to Saturday, Feb. 24, and hosted exciting competitions and games for everyone who attended. Nearly 400 delegates from 22 different schools (both high school and middle school), attended IJCL. Everything from testing sessions that assessed participants on their knowledge of Roman and Greek trivia, to creative arts competitions including oratories, costumes and art projects were held over the course of the weekend. The main event, however, was the IJCL certamen event, which is a game-show-like competition that quizzes players on Latin-related trivia, as they try to buzz in against other teams to answer and score the most points. Northside’s novice, intermediate, and advanced certamen teams had practiced all year and competed in other tournaments prior to IJCL. The novice team, consisting of Basil Costell, Adv. 108, Sofiya Malanchuk, Adv. 009, Katherine Szydlo, Adv. 100, Jane Toft, Adv. 102, with others playing in earlier rounds, had a great run; losing only in the first round and going on to win their division. Both the intermediate team of Deena Al-Ali, Adv. 001, Gina Jagminas, Adv. 003, Richard Lam, Adv. 005, Ruba Memon, Adv. 006, and the advanced team of Younes Deiban, Adv. 907, Kimberly Lu, Adv. 808, Mindren Lu, Adv. 810, Madeline Meade, Adv. 808, swept all of the opposing teams, earning them all a first place finish. 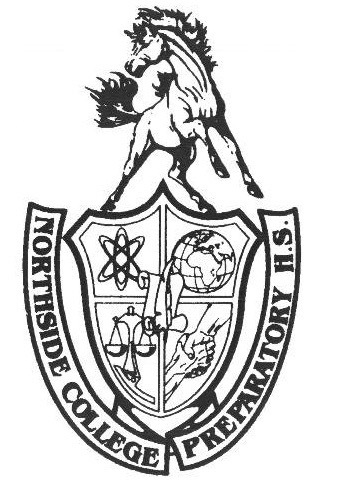 Northside did not just take home first place in certamen, as there were also numerous awards distributed to delegates from Northside for their performance on tests, creative arts, and spirit competitions. Along with the awards earned by those who did well on tests and the arts, a selection of Northsiders received individual honors. Mindren Lu took home the Lois Dion Academics Award for the second year in a row for earning the most sweepstakes points by any delegate at the convention. Emma Williamson, Adv. 908, won the Liz Skoryi Creative Arts Award for her impressive performance in creative arts, such as Modern Myth, Dramatic Interpretation, and English and Latin Oratory. The Marilyn Brusherd Graphic Arts Award was won by Tallulah Cartalucca, Adv. 910, for the second year in a row for earning the most points in Visual Arts contests such as costume, games, and sculpture. Cartalucca also won the scrapbook award for best school scrapbook. In addition, Northside College Prep won the Friendly Hand of JCL Award for its outreach in community services projects. In terms of individual sweepstakes awards, other notable finishes included Sahithi Gangavarapu, Adv. 907, who finished 8th place overall, and Al-Ali and Jagminas who finished 9th and 10th respectively. Spirit competitions were also held at the beginning of each general assembly at the convention. The exuberant, energetic voices of IJCLers from all different schools could be heard throughout the room. Witty cheers and chants were sung to a different theme each day. During the conclusion of the general assembly, schools were awarded prizes based on the cleverness and liveliness of their cheers. Northside was led by spirit aediles Michael Fitzpatrick, Adv. 810, and Al-Ali, who helped guide the students to a 2nd place finish on the first two days of convention, and 1st place on the final day. Furthermore, during the Roll Call ceremony, in which schools send up one delegate to explain how their delegation got to the convention, which is usually accompanied by a humorous performance, IJCLer Joseph Padmanabhan, Adv. 003 parodied the popular song God’s Plan by Drake and even wrote his own lyrics.